THOSE SEEKING the newest Elvis Costello album, For the Stars, shouldn't go to the "C" bin in the rock/pop section at the local record store. They should head instead for the "V" section in classical music, where their record will sit behind the card marked "Anne Sofie von Otter." Strange to say, former punk songwriter Costello and Swedish mezzo-soprano von Otter have just collaborated on an album of pop songs written by Costello, Tom Waits, Brian Wilson, Lennon and McCartney, Ron Sexsmith and Abba (to name a few), and the results are at times quite painfully beautiful. For the Stars (Deutsche Grammophon) is a genre-breaking record that should charm anyone who likes Costello's verbosity and the pristine sound of the female voice, since von Otter--best known for singing roles in works by Berlioz (Faust, etc.) --possesses a voice considered by many to be one of the most gorgeous in opera. As a pop instrument, however, it comes off slightly different: unlike more untrained voices, von Otter's is cool, perfectly accurate, and slightly unemotional (at least by pop standards). She's no Odetta or even a Christina, but then, the music that Costello has written--or chosen or fashioned--for her is quietly effective anyway. For the Stars contains 18 tracks, about half of which are newly written but sonically old-fashioned torch songs. The rest are covers of standards that have been transformed into something wholly other by this extremely subdued, orchestral treatment. COSTELLO'S ability to write for different genres is well known, but some of these songs sound downright Merchant-Ivory. On the opening track, "No Wonder," for example, Von Otter sings against a background of piano and cello that has more in common with Lieber and Stoller than with the angry author of "Pump It Up": "I dreamed I stood as you were passing/ Just as the horse-drawn carriage sped away/ Of petticoats in puddles dragging . . . and my high-button boots were splashed with clay." "Baby Plays Around" is even quieter and more orchestral, as are many of the lost-my-love songs on the record. A real high point comes with "Broken Bicycles" by Waits, which is sung in exactly the opposite manner from Waits'-but which sounds just as good, especially when Costello and von Otter's voices mesh for the finale. And what von Otter does with two different Pet Sounds-era Brian Wilson songs--"Don't Talk (Put Your Head on My Shoulder)" and "You Still Believe in Me"--proves to be really quite astonishing. For the Stars is all about interpretation. Costello's own voice is sparingly used (although it appears on occasion). There are several covers that are almost unrecognizable, while on the original numbers Costello collaborates with a number of other diverse musicians, including Ruben Blades, Burt Bacharach, Svane Henryson, his latest group, Fleshquartet, and his wife, former Pogue Cait O'Riordon. You wouldn't know from the seamlessness of this record, however, that it wasn't the work of one artist, which is a tribute to von Otter's vocal power. THE ALBUM does not represent Costello's first foray into classic forms by any means. In 1993, he collaborated with the Brodsky Quartet on The Juliet Letters. Costello has also made music with an eclectic group of folks, including jazz guitarist Bill Frisell, Burt Bacharach, the Chieftains, Paul McCartney, and many others, in addition to creating soundtracks for British TV shows like Jake's Progress and G.B.H. and a PBS special called The Irish in America, and even making a recent appearance on Third Rock from the Sun. 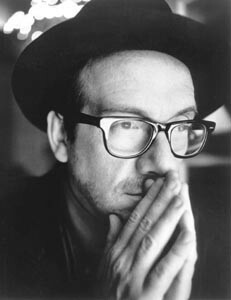 In fact, Costello seems to do everything but rock music these days, and that is to his credit. Compared to his more successful contemporaries--Tom Petty, say--his repertoire is far more sophisticated and interesting; one can't help but imagine that his daily life is probably all those things as well. No rock-star clichés--drug ODs, ugly divorces, or the consequent Behind the Music episode--for him; instead he has pursued a career that has much more scope in it for aging. But Costello's interest in all types of music is one thing. The trick is training one's own taste in music to embrace a palette as wide as his. Luckily for him, those of us who really enjoy mid-tempo rock in 4/4 time are having a hard time staying interested in pop stars these days--and hip-hop, country, and metal are even more commercial and less fulfilling. No wonder everyone's looking backward at classic rock, oldies, and now (judging by Costello) classical music for inspiration. Costello's venture is only the latest in a long line of projects by artists who've searched out new media to inform their old ones: Metallica now works with the San Francisco Symphony, members of Primus have joined the Blue Man Group, and Steve Earle, Britney Spears, and Paul McCartney all have published books--and the list goes on. Given the profusion of such projects, one can't help but feel that these are signs that artists are frustrated with the confines of rock. They find straight-ahead pop music a fallow field, and so do many listeners. Hence, records like For the Stars, which have almost no contemporary cultural relevance or contextuality, but which are at least exciting and fun to listen to: accessible, pretty, and yet totally unique. From the July 5-11, 2001 issue of the Northern California Bohemian.